Happy Monday dear friends!! 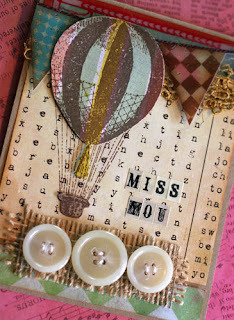 I've been having some fun with Glitz Designs Whatnots and stamps today!! First up is a sweet little card using Clear Stamps and Whatnots from the from the Laced with Grace Collection and papers and stickers from the Afternoon Muse Collection. I love that these lines are so easy to mix and match! It totally gets my creative juices flowing knowing that the possibilities are endless!! I stamped the top and bottom of the card base. 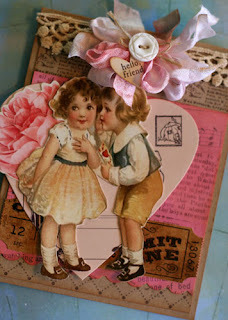 The top stamp is the newsprint from the Laced with Grace Collection. I just love the newsprint design! I will keep it close by my craft table because I know it's one I will use continually!! I cut out the Whatnots so I could pair the cute little boy and girl with the heart. Love the way that turned out! I added a little bloom from my stash to add some more sweetness to the focal point. 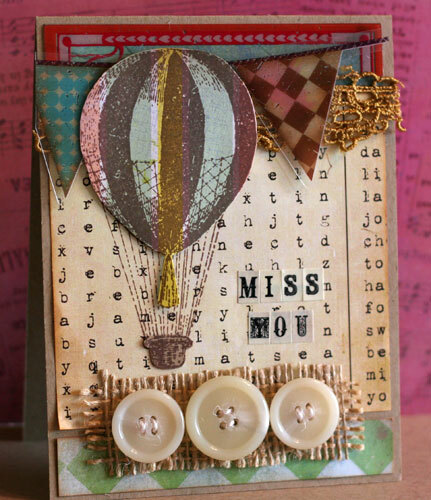 I layered the Afternoon Muse Banner paper with the Afternoon Muse cardstock stickers to add visual interest. Such a fun little card to give to a good friend! Other Supplies: Papertrey Ink Kraft Cardstock; Papertrey Ink Tin Types Background Stamps; Papertrey Ink Tiny Tags die and stamps, Memento Rich Cocoa Ink; Tim Holtz Tea Dye Distress Ink; Prima Lace; Ribbon and Button from my stash. Next up is a less feminine approach just perfect for a husband and wife relative or friend you may be missing. I paired up the Afternoon Muse Hot Air Balloon stamp and Peek a Boo transparencies with a Laced with Grace Paper Layer. I stamped the hot air balloon three times, fussy cut and paper pieced them together onto the paper layer. I also cut the Peek a Boo frame and used it to add a splash of color to the top of my card. 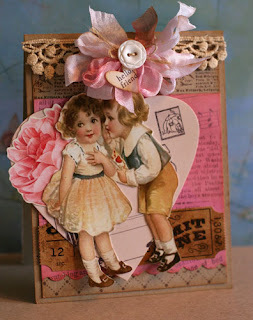 I added some lace, burlap and buttons to add texture to the card. Other Supplies: Papertrrey Ink Kraft Cardstock; Prima Lace; Memento Rich Cocoa Ink; Tim Holtz Tea Dye Distress Ink; Burlap and Buttons from my stash. I hope you a very "Glitzy" day!!! Both of these are beautiful!! Gorgeous! I absolutely love the bit of burlap under those buttons!!! Thanks for the Monday inspiration!